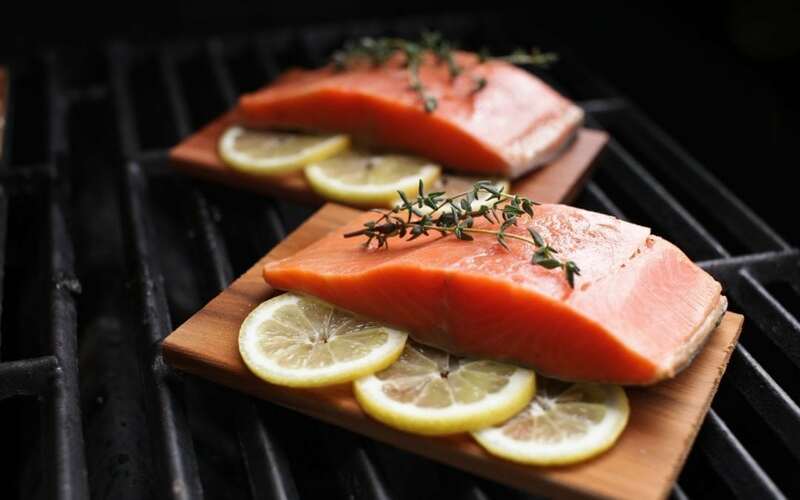 If you’ve ever wondered how to grill salmon on a Cedar plank, we have the answers for you! 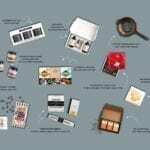 It’s easier than you think, and in less than an hour, you can have a gourmet meal! Whether you want to cook a full fillet of salmon for your next dinner party, or you’re making single portions for dinner, these 5 easy steps show you how you can become a pro at Cedar planked salmon. It’s one of our most frequently asked questions: Do I really need to soak the plank? Yes, really. It not only creates extra moisture, it also helps in letting the plank smoke, while reducing the chance of it catching on fire. Season as you normally do. One of our most popular recipes is this 5-ingredient salmon with brown sugar. Place salmon on plank & put the plank on the preheated grill. When placing the salmon on the plank, make sure you cover as much of the plank as possible (including the edges and corners). This will help reduce the chance of flare-ups.Then simply put the plank with the salmon on the preheated grill. You can use planks on both gas and charcoal grills, as well as smokers. 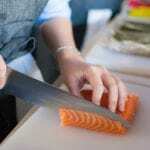 Cook the salmon to your preference, but always make sure it is thoroughly cooked. Keep a spray bottle of water handy for any flare-ups. 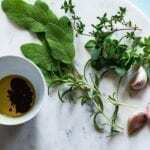 Serve your delicious salmon directly on the plank and add lemon and fresh herbs for a beautiful presentation. (Note: Make sure that the plank is on a heat-resistant surface, so you don’t burn grandma’s fine linens. The plank will still be hot, and oftentimes continues crackling after being taken off the grill. 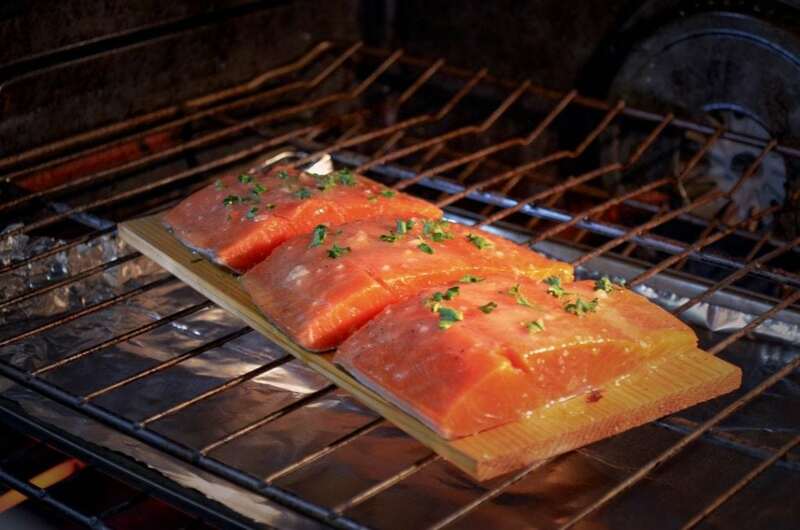 Want to make Cedar planked salmon in the oven? 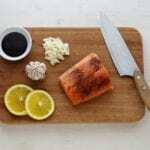 Oven Cedar Planked Salmon Recipe.